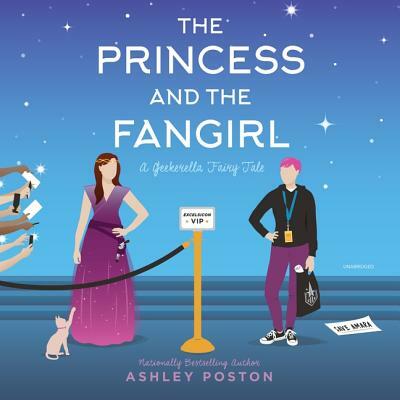 Imogen Lovelace is an ordinary fangirl on an impossible mission: save her favorite character, Princess Amara, from being killed off from her favorite franchise, Starfield. The problem is, Jessica Stone, the actress who plays Princess Amara, wants nothing more than to leave the intense scrutiny of the fandom behind. If this year's ExcelsiCon isn't her last, she'll consider her career derailed. When a case of mistaken identity throws look-a-likes Imogen and Jess together, they quickly become enemies. But when the script for the Starfield sequel leaks, and all signs point to Jess, she and Imogen must trade places to find the person responsible. That's easier said than done when the girls step into each other's shoes and discover new romantic possibilities, as well as the other side of intense fandom. As these princesses race to find the script-leaker, they must rescue themselves from their own expectations, and redefine what it means to live happily ever after.